NOTRE DAME, IN – Donald Paul Kommers, a political scientist and legal scholar well known for his writings on German law and politics and his pioneering work in the field of comparative constitutional studies, died Friday, December 21, 2018, at his home in Holy Cross Village, Notre Dame, Indiana. He was 86. The eldest son of Donald M. Kommers and Gladys Janet (nee Braun), Don was born August 26, 1932, in Green Bay, Wisconsin. He grew up in Stockbridge, a small town near Green Bay, where his father ran a grocery store serving hundreds of farmers in the surrounding area. He attended St. Norbert High School in DePere, on what is now the campus of St. Norbert College. He graduated from Catholic University of America in Washington, D.C. In his senior year, after a debating contest at Harvard University in 1953, he was set up on a blind date with his future wife, Nancy Ann Foster, of Boston, Massachusetts, to whom he was married for almost 64 years. After college, Don served for two years in the United States Marine Corps. Honorably discharged in 1956, he went on to earn M.A. and Ph.D. degrees in political science at the University of Wisconsin-Madison. Don joined Notre Dame’s faculty in 1963. He taught a wide variety of courses on American and comparative politics until turning most of his attention to the constitutional systems of both Germany and the United States. He received the Joseph and Elizabeth Robbie Chair of Political Science in 1991. Over more than forty years, thousands of students took his popular undergraduate course in American constitutional law. In addition to teaching, Don served as the Director of the West European Studies Program; the Director of the Notre Dame Law School’s Center for Civil Rights, during which time he served as an advisor to President Carter’s Commission on the Holocaust; and the Co-Director of the Notre Dame Law Center in London. He was also the editor of The Review of Politics for eleven years. His more than 100 publications include 10 books and dozens of major articles and book chapters on constitutional and political themes in both the United States and Germany. During his extensive career, Kommers was the recipient of many awards and honors, including: several senior fellowships from the National Endowment for the Humanities, along with major fellowships and grants from the Rockefeller Foundation, Andrew W. Mellon Foundation, Alexander von Humboldt Foundation (Germany), Max Planck Society (Germany), German Marshall Fund of the United States, Fulbright Scholar Program, American Philosophical Society, and Social Science Research Council; Germany’s Alexander von Humboldt Prize for Senior U.S. Scholars; the Berlin Prize from the American Academy in Berlin; the Distinguished Service Cross of the Federal Republic of Germany; and the American Bar Association’s Silver Gavel Award. In 1998, Germany’s Heidelberg University awarded Kommers an honorary doctor of laws degree in recognition of his published work on Germany, up to then only the fourth such honor conferred on an American since World War II. In 2007, he was the recipient of a second honorary doctorate from St. Norbert College, where he also delivered the commencement address. In addition to his loving wife Nancy, Don is survived by his brother, James J. (Mary) Kommers of Reedsburg, Wisconsin; his sister, Kathleen Kommers of Hortonville, Wisconsin; three children, Cynthia Ann (Mark) Jordan of Seattle, Washington, Theodore Foster (Karen Hagnell) Kommers of Lake Bluff, Illinois, and Kristin Elizabeth (Paul) Czarnecki of Georgetown, Kentucky; and five grandchildren, Anne-Marie Kommers, Benjamin Kommers, Sophie Kommers, Nikolas Jordan, and Jack Jordan. His daughter Kristin Mary Kommers died in 1961. Don will be greatly missed by his family, friends, and colleagues. Funeral Mass: Monday, January 21, 2019, 9:30 a.m. at the Basilica of the Sacred Heart at the University of Notre Dame. In lieu of flowers, memorials may be made to the University of Notre Dame, in memory of Professor Donald P. Kommers, either online at giving.nd.edu, by phone at (574) 631-5150, or by mail: University of Notre Dame, Department of Development, 1100 Grace Hall, Notre Dame, Indiana 46556. Sad already, Mike Carty’s death prevented him from attending the 50th class reunion, except in spirit. He had plenty. GENEVA – Michael Robert Carty of Geneva, New York, passed away after a brief illness at Geneva General Hospital on February 9, 2018. He was 71. Friends may call from 4 to 7 p.m. at the DeVaney-Bennett Funeral Home, 181 N. Main St., Geneva, NY on Thursday, (February 15). A Mass of Christian Burial will be at 10 a.m. on Friday (February 16) in St. Stephen’s Church. Memorial contributions in Mike’s name may be made to Thrive to Survive, P.O. Box 1146, Geneva, NY 14456. He was born January 12, 1947, also at Geneva General Hospital. Michael was the son of Doctor William Wade and Elizabeth (Kayes) Carty of Geneva, New York. He attended De Sales High School in Geneva, graduating with the class of 1964, and went on to earn degrees from the University of Notre Dame and Cornell University. Of all his passions, Michael’s first and foremost was his alma mater. He would plan his fall Saturdays around the Fighting Irish football team, bringing his family and friends along for many pilgrimages to South Bend, Indiana. Most recently, the South Bend trip included campus visits by his grandsons Colin and Aidan. Michael traveled far and wide to watch the Irish, even following them to Ireland in 1996. He was a consummate host. Whether it was one of the annual Super Bowl parties hosted by he and Liz each year (for more than forty years! ), a dinner for twelve of their closest friends, or a quick beer on the porch after a round of golf, Mike Carty never let a glass go empty, and a wine bottle was always poured to the last drop. Mike would say he wanted to be able to talk to “anyone about anything” for fifteen minutes. This talent he had for speaking with anyone – friend or stranger – served him well for many years as a salesperson in the food service industry. He was an avid golfer and a member of the Geneva Country Club. He was a lifelong member of St. Stephen’s Church. He is survived by his wife of 41 years, Elizabeth (Doyle) Carty; and his two children Maren (Carty) Nicholas of Dallas, Georgia and Matthew (Niki) Carty of Phoenix, Arizona. Michael also was a grandfather of five, Colin and Aidan Nicholas of Dallas, Georgia, and Shaun Harris, Zoe Slagel-Carty and Samuel Carty of Phoenix, Arizona. His sister, Sheila (Carty) Cecere, resides in Jacksonville, Florida, and his sister-in-law, Barbara (Doyle) Barnes lives in Chattanooga, Tennessee. He had several nieces and nephews, and many cousins. In addition to his parents, he was predeceased by his brothers-in-law Stephen Cecere and Charles Barnes. For those wishing to write a note of condolence, please visit www.devaneybennettfh.com. John Longhi was born in White Plains, New York, raised in Larchmont, New York, and lived most of his adult life in Hamden, Connecticut. Following his graduation from Notre Dame with a BS in geology, John entered the Peace Corps and served in Kenya for more than 2 years where he met and married Tess, a nurse volunteer, who had a smile that could light up a room. While in Kenya, John designed and supervised construction of rural water supplies. Upon returning to the USA, John and Tess moved to Cambridge, Massachusetts where Tess worked as a visiting nurse and gave birth to a baby girl, Sarah. Meanwhile, John earned a PhD in geology at Harvard. Post-doctoral fellowships at MIT and the University of Oregon followed next. Subsequently, John had a successful career as a research scientist especially at the Lamont-Doherty Earth Observatory of Columbia University, where he worked on increasing our understanding of the origin of the chemical variation in lavas on Earth, the Moon, and the meteorite parent bodies. 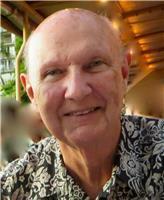 John’s career and life were shortened by advancing Parkinson disease. He will be remembered for his calm disposition and timely sense of humor. SOUTH BEND – David L Kil, a devoted friend, father, and an especially loving grandfather, left us on Tuesday, January 17th after a short stay with illness. As the son of Roman and Sylvia (Niedbalski) Kil, he lived nearly all of his 70 years in South Bend, Indiana, departing only for a short time to work in Chicago, Illinois. Upon his return, he served as the Assistant Registrar under the Golden Dome for 38 years before retiring in 2012. Surviving David are his son, David Zachary, his 1-year-old granddaughter, Chloe Grace, and to-be-born grandchild. David had simple passions, travel, photography, and the love of his family. Planes, trains and automobiles were no match for David’s pursuit of vast experience. His early years were spent bouncing from country to country through South America, Europe, and the States, often without a plan or itinerary. David graduated from St. Joseph High School in 1964. He then graduated from the University of Notre Dame in 1968 with a Bachelor of Art Degree in Psychology. He was a teacher for 2 years at Logan School for special needs children. He then moved to Chicago and was the project director for special needs adults. He returned to South Bend in 1974 to begin employment with the University of Notre Dame, retiring in 2012 after having been Assistant Registrar for 38 years. David was also a former member of Knights of Columbus #553 and Kiwanis, and was a member of St. Joseph Catholic Church, South Bend. The foundation for David was simple: He gave his all to his work at Notre Dame, his friends, and to his family. They were his priority, without compromise through all of his 70 years. Those who had the opportunity to know this about David would recognize it instantly: that is, he purposed his heart and his energies for others. Visitation will be held at Kaniewski Funeral Home on Bendix Drive on Sunday, January 22nd from 3 – 7 PM, where a Rosary will be prayed at 3:00 PM by Reverend Paul Doyle, C.S.C. The Funeral Mass of Christian Burial will be held at the Basilica of the Sacred Heart, Notre Dame, the following day at 9:30 AM. David will be buried St. Joseph Cemetery in South Bend. An additional prayer service will be held at the Notre Dame Grotto the morning of July 22, 2017, officiated by Reverend Paul Doyle, C.S.C. Memorial Contributions may be made in David L. Kil’s name to your choice of St. Joseph’s Grade School in South Bend or to St. Jude Children’s Research Hospital in Memphis, Tennessee. Online condolences may be left at www.kaniewski.com. Tom Blum alerted me that John Roche had died in Vietnam. shortly after arriving in Vietnam. Mates – we’ve lost another ’68er. William Edison Sullivan, of Merrick, Long Island died unexpectedly last week at his home in Lynn, Ma., where he lived for the last 10 years or so. From ’64-’68, Sully was the first to get coffee at the Huddle each morning. He greeted all he saw, with a smile, a laugh, and a genuine pat on the pack. At the end of the day, usually from the Senior Bar, he offered those same cheerful greetings to the many friends he made at ND. He was that 12th man Saturday, seen flying around with the defense. A job well done Sul.